Only 10 years ago, the idea that Californians might one day drink treated wastewater from their kitchen taps seemed unfathomable. The notion of using recycled water to this degree was unpopular with the public, and seemed unnecessary. The state’s ongoing drought has changed all that. Many water agencies over the past few years have rolled out small recycled water programs. These are mainly producing nonpotable water for outdoor irrigation, and have become popular with people who want to continue watering their gardens without impacting their water bills. To make it easier to set up these kinds of programs, the State Water Resources Control Board on June 7 adopted new rules for nonpotable water recycling projects. Called a “general order,” the goal of the new rule package is streamlined permitting for water agencies that want to pursue such projects, so they can get water flowing faster and cheaper. The next step for the state board is to develop regulations for recycling projects that deliver potable water. This is expected by the end of 2016. To help us understand this new landscape of water recycling, Water Deeply interviewed Jennifer West, managing director of WaterReuse California, who previously worked on water policy as a legislative advocate in the state legislature. Water Deeply: How big is water recycling in California today? Jennifer West: It’s huge. Recycled water has always been seen as a reliable water supply for communities. Recycled water is available whether there is a drought or not. But the current drought has underscored the value of recycled water as a major new source of drinking water. This has mainly come about, so far, through groundwater replenishment and, in the future, through direct potable reuse. Recycled water is also used extensively for nonpotable uses, like outdoor irrigation and industrial processing. Water Deeply: What is the potential? West: There are lots of estimates out there in terms of how much recycled water can be developed. But we think that an additional 1.5–2.5 million acre-feet (1.9–3 billion cubic meters) is a pretty solid projection. That is a lot of water. The state water board is just about to start a survey to get a better handle on how much the state is using now, since so many new projects have been built. A survey like this has not been done since 2009. Water Deeply: Are there very many water agencies interested in starting recycling projects now? West: Yes, there are probably 100 agencies or more starting to plan new projects. With the drought and the passage of Proposition 1, which provided $625 million for recycled water, there is both significant interest in developing these projects and equally significant state funding available to help finance new recycled water projects in California. Water Deeply: What’s your sense of public attitudes toward recycled water? Are people becoming more open to it as a resource? West: I think the public has become much more accepting of recycled over the last 10 years. The “yuck factor,” as some have called it, is still with us, but has significantly lessened. Some of the shift has come because people see recycled water is being used with no problems. They see the purple pipes and signs and the playing fields that have stayed green despite the drought. But I believe the shift has fundamentally come because people are beginning to understand the value of water and the need to use it more than once whenever we can. Water Deeply: What aspects of water reuse and recycling does the state water board’s new general order cover? West: The general order, consistent with existing recycled water regulations, authorizes all nonpotable recycled water projects, including landscape irrigation, agriculture irrigation and more. It does not cover groundwater replenishment or potable reuse projects. Water Deeply: How does this rule affect agencies that already have approved water recycling projects? West: It requires that agencies covered under a regional water board general order change permitting coverage to the state general order in three years. Agencies that have an existing individual recycled water permit, or master reclamation permit, may be required in the future to enroll in the state general order. Water Deeply: The new order states that water recycling projects will no longer be subject to waste discharge rules. What does that mean, exactly? In our view, this is an important step toward the critical goal of having recycled water recognized by policymakers and the public as a valuable resource, and not a waste. Water Deeply: How do these regulations make it easier or cheaper to build water recycling projects in California? West: The general order allows recycled water projects that are implemented across regional water board boundaries to be permitted by the state board. 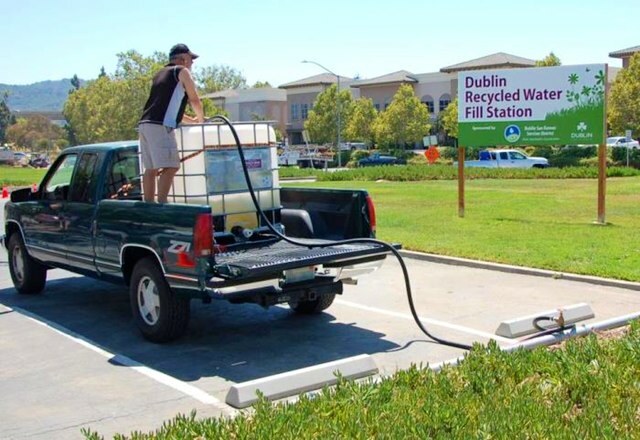 The order also allows for the establishment of recycled water fill stations where businesses and the public can receive recycled water from a centralized location for [nonpotable] use instead of potable water. Water Deeply: Will these new regulations lead to more water recycling projects in the state? West: It will lead to more uniformity in the way recycled water projects are permitted throughout California. This may lead to more regulatory certainty for recycled water project proponents and, hopefully, more projects going forward. Water Deeply: The next step for the state water board is new rules on recycling water for potable reuse. When are those expected, and what is the goal? West: By the end of December, the state water board will finalize regulations that will allow highly purified recycled water to be added to drinking water reservoirs. This added water must meet or exceed all drinking water standards. They are developing these regulations with the advice of an expert panel. Also by the end of the year, the board will release a report to the state legislature on the feasibility of developing statewide regulations on “direct potable reuse” or DPR. This is when the highly purified recycled water is placed directly into the drinking water supply, or directly upstream of a drinking water distribution system. These types of potable reuse projects have the potential to greatly expand the use of recycled water in California, well beyond what we are using today.